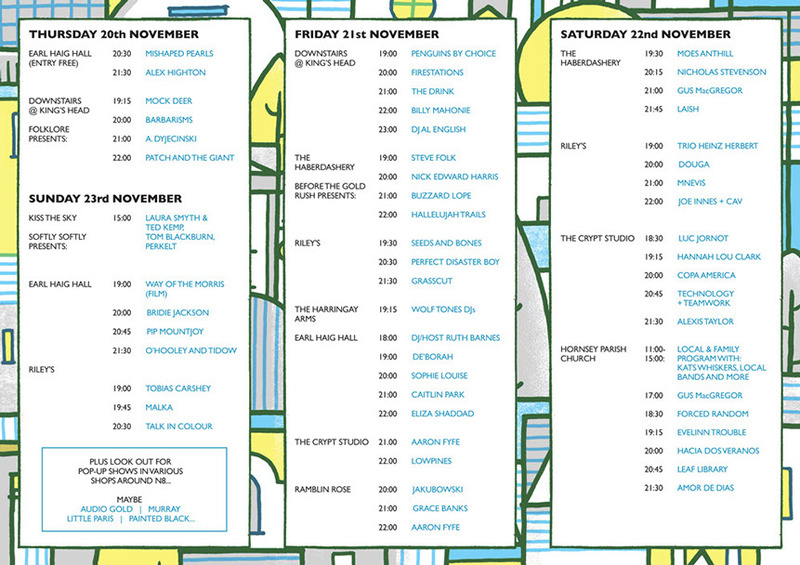 I’m playing in the evening in the Haberdashery, Crouch End, on Sat 22nd Nov as part of The End Festival. It’s a wonderful festival organised by the good folks at The Local. You simply must.